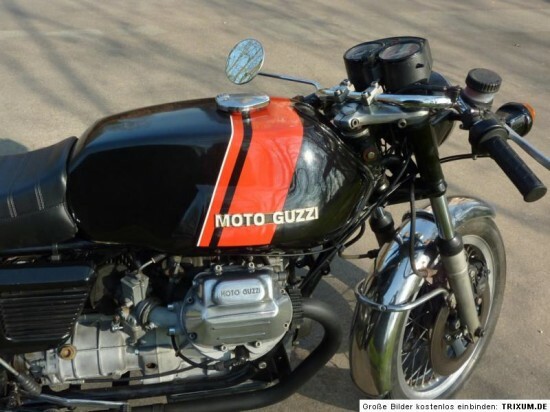 For those of you that liked the Heidi Klum reference and photo I used to describe my feelings for the Ducai, you might have already been drawn to this Moto Guzzi 850 T3 offered on eBay now. Sellers from Antwep, Belgium use a technique that has been around for hundreds of years to help sell motorcycles. I am going to assume that this is an un-restored 850 T3 that has some 750 S3 parts. 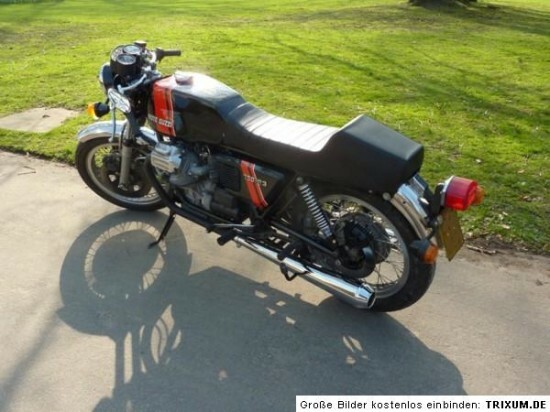 So going with that I found that the 850 T3 was offered from 1975-1982 and build as a tourer and not a sports bike. Low end torque from the 844cc still peaked at 53hp at 6000rpm. With a wide windshield and side bags the 451 lb bike appears to be the preferred tour for Europeans. 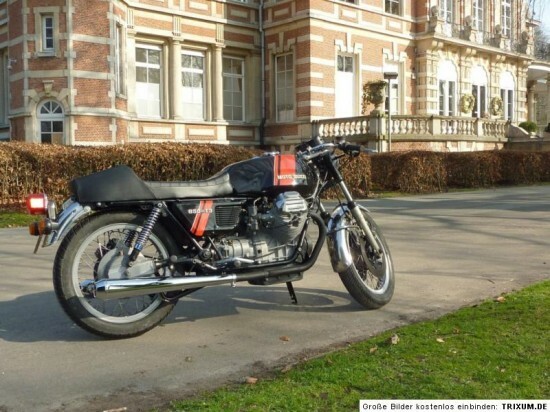 What it is trying to look like is the sportier 750 S3 witch had 90hp out to 7000 rpm. Like sport bikes of the day, it was naked (hence the model?) and was set up for speed not comfort. There is no mention of engine modifications so I suspect that this is a badge engineered sport bike, based on the touring model. Not unusual to find, and not difficult to un-do. 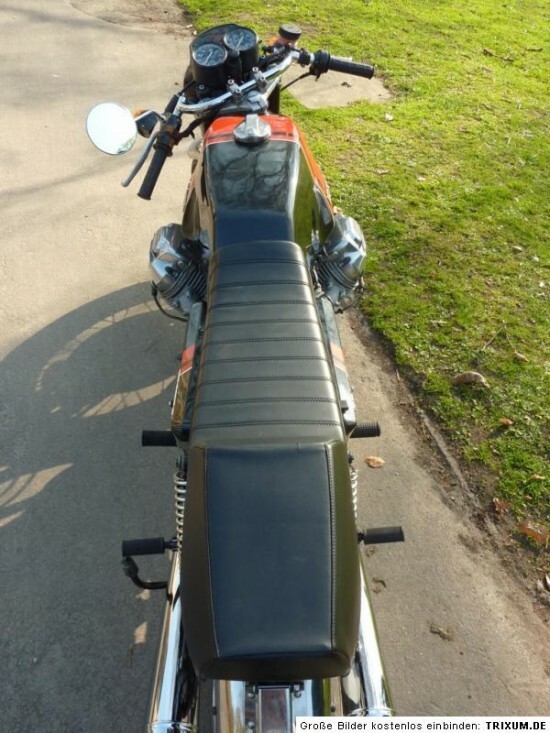 I only added pictures of the motorcycle here, so if you would like to see the complete listing you can see her with the bike on eBay now. Previous story In case you missed some great classics on RSBFS….